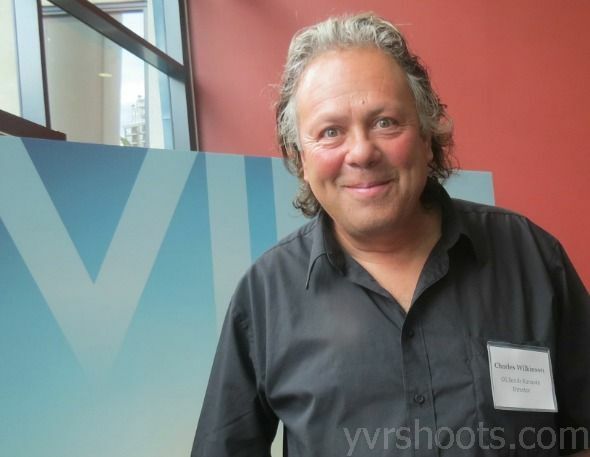 Vancouver director Charles Wilkinson wasn’t prepared for just how hot his documentary Oil Sands Karaoke would be at this year’s Hot Docs International Documentary Film Festival in Toronto. “The press was unbelievable….and the screenings sold out.” But even more gratifying was its reception at a special presentation in Fort McMurray, Alberta, where his oil sands karaoke stars work and live. How did one doc manage to be popular in two such disparate places? Wilkinson says he has a “pretty clear point of view that climate change is ruinous” to the planet but also respects that people need to work. And oil sands work is especially tough, done in inhospitable physical conditions over long shifts, although it pays well and supports its workers’ families. Still, it’s lonely as hell, except for moments like these five workers experience when they’re on stage singing karoke. And singing it extremely well. Oil Sands Karaoke gives you a sense of what the town of Fort McMurray is really like. Catch the Vancouver preniere at the Vancouver International Film Festival on Friday, October 4th, at the International Village. For tickets go to viff.org.